YLL is a place for real werewolves from all around the world, started by a group of werewolves who met in their lupine lives. We were all fans of the SOS werewolves page at sethonsurvival but we saw that SOS needed more specific info about different kinds of werewolves and an app just for our kind. 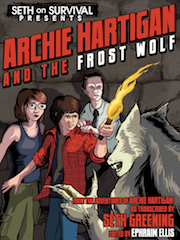 When we emailed Seth about it, he encouraged us to make our own site and an app/game just for werewolves. He helped us figure out a lot of stuff and told us about Louis and his situation, so we eventually invited him to help too. Hope you enjoy the site. If you are a werewolf, please make yourself at home. If you are a vampire, who has stumbled on this site by accident, please go find a vampire site. Unless you are friends with a werewolf. Then by all means, you can stay. We are still working with Seth to finish the site and the app-game, so please check back again soon for more updates. And join us anytime to leave your own mark! Ice Werewolves usually experience their first transformation in January. For this reason, it’s said that their main powers involve freezing and slowing things. If an Ice Wolf transforms for the first time on New Year’s Day, it’s said this power can freeze and slow time itself. 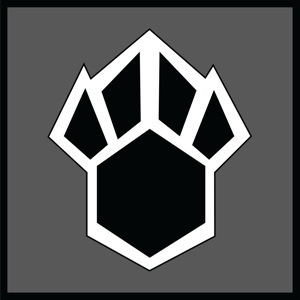 For more info about Ice Wolves please visit the Ice Werewolves page. I was born in January, that means I’m a ice werewolf…… YAY!! no it doesn’t. some werewolves, ( im a bad example of this; hunter clan, born in October) are in a completely different clan then their birthdays. try the lupine ios app.